How inspiring the new ‘Matisse. Cut-Outs’ exhibtion at Tate Modern has been for us all, adults and children alike. Using materials from our shop, Katherine has put together a wonderful window display. Matisse was incredibly skilled, using large draper scissors to deftly cut intricate, flowing shapes. 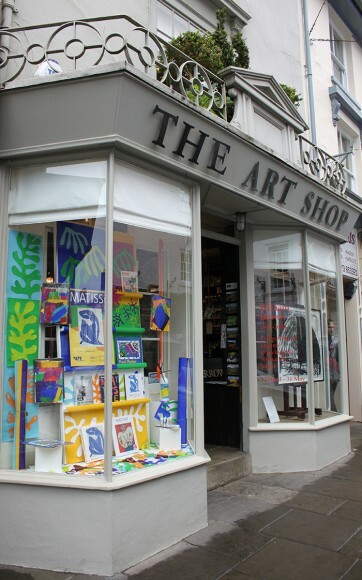 Of course you could colour your paper with gouache as Matisse did, but we also sell large sheets of poster paper in his vibrant colours along with small collage packs. 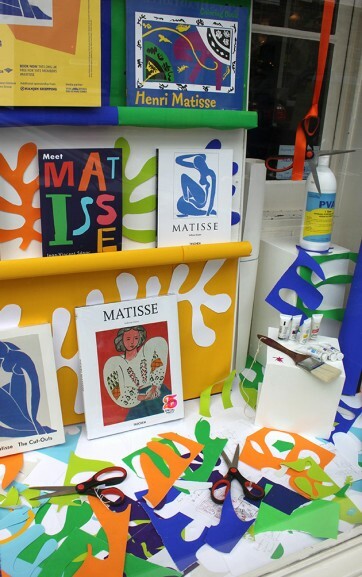 It doesn’t have to be on a grand scale, why not make tiny, miniature Matisse cut-outs as Katherine did when she was planning the display. 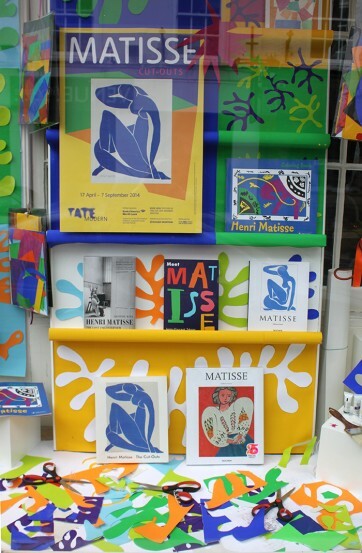 NEW titles on Matisse are available too, including the sumptuous Tate exhibition catalogue ‘Henri Matisse. The Cut-Outs’ £29.99 paperback/ £35 hardback.